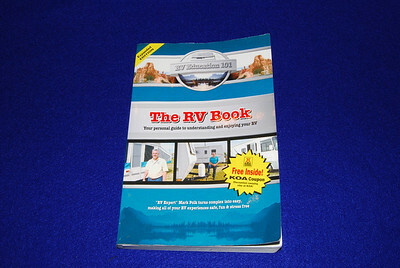 The RV Book by Mark Polk, 274 pages, $19.95, Score 25. This was my first reference book and one that I had previously recommended to others. I thought I would find a book that was more comprehensive but in the end this was the clear winner. It has lots of pictures, diagrams and checklists. This is the only general RV book that specifically discusses folding trailers in several sections. 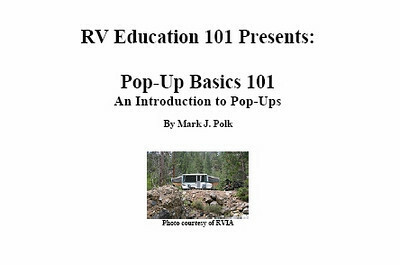 Pop-Up Basic 101 by Mark Polk, 42 pages, $12.95 . Score 23.5. This is the only book for folding trailers and is only available by downloading off the internet ( i.e., it is an E book). 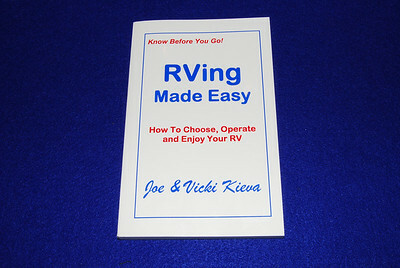 At first I thought it would end up with a higher score, however, there were a number of topics that were covered in less depth than The RV book by the same author. 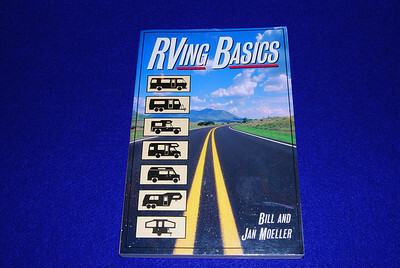 RVing Basics by Bill and Jan Moeller, 213 pages, $14.95 . Score 22. This book did a fair job addressing the topics I was interested. However, there were many cases where I had to look in different sections. For example, water regulators was not covered in the water systems but later on in “Selecting a camp ground and using hook ups. This was the only book that addressed replacing a tire, and repacking bearings. 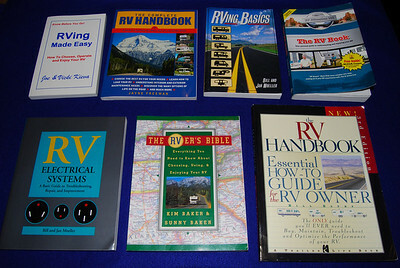 Although I was not looking for this it was one of two books that had floor diagrams of different RV’s. 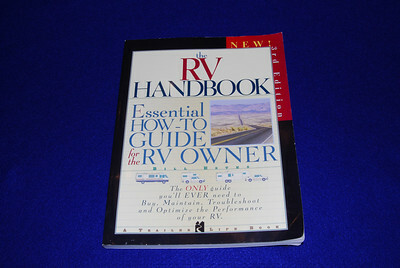 The RV Handbook by Bill Estes, 287 pages, $29.95, Score 19.5. This is a Trailer life book and is the most technical of all the books I reviewed. 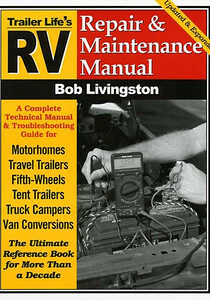 If you have a motor home this might be a good book as a significant portion of the book is devoted to engines, fuel economy, trouble shooting and even engine rebuilds. 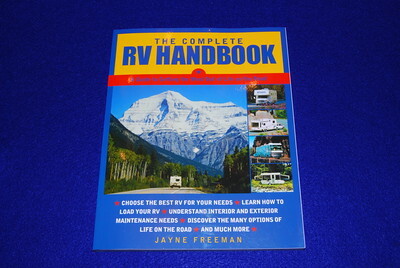 The complete RV Handbook by Jayne Freeman 234 pages $18.95 Score 16.5. The sub title is “A guide to getting the most out of life on the road and in fact it does this versus being a technical guide. It does a good job trouble shooting and has lots or real life examples. Unfortunately the author has a motor home and writes from that point of view. For example the only reference I found to hitches was in the section on towing a motor vehicle behind a coach. 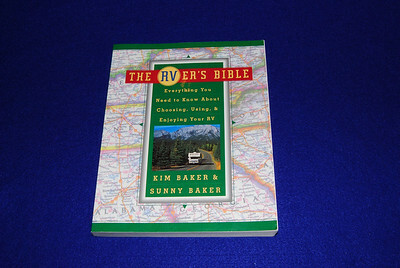 The RVer’s Bible by Kim and Sunny Baker, pages 390, $22 Score 11. This is a case where you should not judge a book by its title. Given name and length I thought this would be a winner, but it was the least technical of all the books review and the one that had several topics that were not covered. An easy read with lots of little tips and stories but not a reference manual. I've not rated this book as it is written for electrical systems. 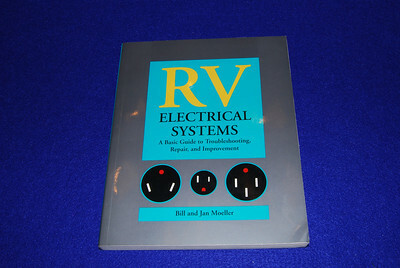 I highly recommend it to those that want to a referrence book on electrical systems. Since my review of reference books I discovered this manual and together with the RV Electrical Systems they have become my must have reference books.